This journey would not have been possible without the assistance and encouragement of many wonderful folks along the way. 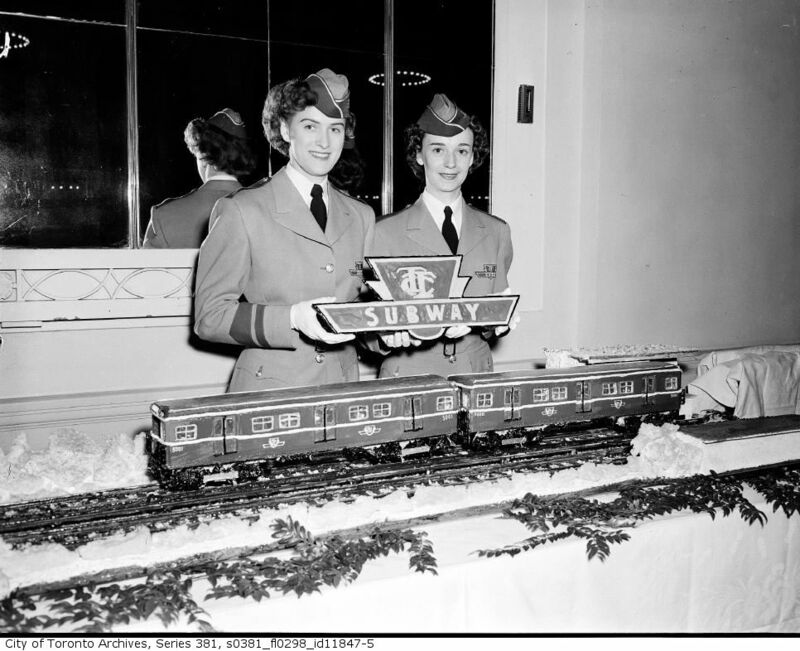 posing in front of a remarkably detailed subway cake. Thank you to the thousands of construction workers over the years—some of whom died in the process—who built these stations for us to use and explore. Thank you as well to the TTC maintenance staff—everybody craps on you but you still do the job. Take pride in your work. The TTC graciously provided its system map (here) for use as a reference. Thanks to the innumerable TTC station employees, operators, and other TTC staff who patiently accepted me and went about their duties. To those employees that didn’t... have a pleasant day. Thanks to the mostly anonymous TTC and City photographers who toiled away taking images of every aspect of subway construction. So many vent shafts! Eric Trussler, Dave MacKinnon, Ted Wickson, James Salmon... without their efforts we would not have visual documentation of our city’s rapid transit system’s early history. I am indebted to David Topping and Craig White, who provided me with encouragement and insight into their respective experiences. Their aesthetic sensibilities differ significantly from mine, and you’ll find it intriguing to compare what drew our attention at each station. It’s a valuable exercise to observe what’s different, and what’s the same. The TTC Archives, held at the City of Toronto Archives, are the source of most of the historical station photographs in the galleries (where otherwise, I’ve attempted to caption and source accordingly). The City of Toronto Archives also have their own city transit holdings. Thanks to the ever-tolerant, knowledgeable, and helpful staff, who have long endured my shenanigans. The Toronto Star’s Digital Archives have been another prime source of photographs. 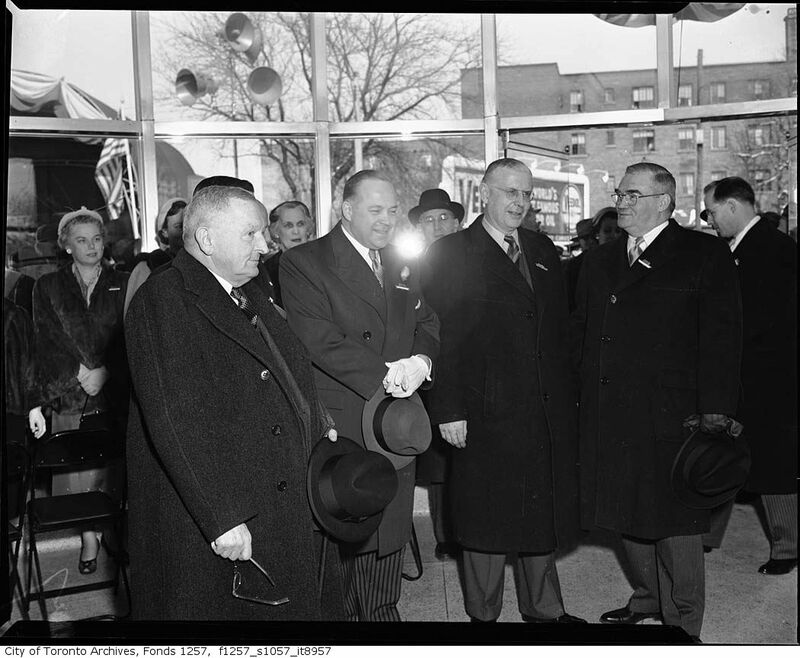 The Toronto Public Library’s access to the Globe and Toronto Star historical archives has been invaluable. Thank you to James Bow and Transit Toronto. Transit Toronto is a superb, sprawling collection of information about the TTC’s past and present. Mr. Bow generously granted permission to reproduce many archival photographs from the Transit Toronto collection, and assisted in tracking down numerous copyright holders. Other sources include: University of Toronto Map and Data Library; Canadian Architectural Archives—University of Calgary; and York University Libraries, Clara Thomas Archives & Special Collections. See also: my bibliography of TTC links and resources. Thanks to Steve Munro for access to his saved Augustus ‘Sig’ Serafin station watercolour images, and to his collection of Metropasses from the 1980s and 1990s, and probably for other things I’ve forgotten. Thanks to Charles Pachter for access to his Dundas station mural designs. Thanks to Michael Hayden, and Simon Scott, for their (gorgeous) historical images of Yorkdale and Arc-en-ciel. Thanks to Frank Perna for providing a statement and background information regarding his entrance mural, A Sense of Place, at Kennedy. Thanks to John Boyle for providing information about Our Knell, and for helping me track down the original maquette on which the piece is based (hat tip as well to Pamela Wachna of Museum & Heritage Services at the City of Toronto). Thanks to Micah Lexier for providing a statement and background information regarding Ampersand at Leslie. Thanks to Rebecca Bayer for providing information about the Sherbourne station community mosaic and inviting me to the pattern-making workshops! Thanks to Robin Collyer for providing information and photos about Collyer’s (now removed) Sheppard-Yonge installation, Dwell. Thanks to George Chiasson for permission to reproduce photos from his extensive collection of 1980s era station images. Thanks to Marty Bernard, Joe Clark, Bryson Gilbert, Robert Lubinski, Robert McMann, Chris Morgan, and David Wilson for permission to reproduce various photos from their personal collections. Thanks to aemmeleia, GTD Aquitaine, basic_sounds, gcosserat, Emily Bean, fw_gadget, Erin Keller, George Kelly, Sean Marshall, Ian Mutto, Reaperexpress, RobH6, Secondarywaltz, wyliepoon, and others for licensing their photographs under various Creative Commons licensing, or giving me permission to reproduce their photos. If I’ve left your name out but used an image of yours, my apologies & let me know! Thank you, dear readers, for your forbearance. Thanks to Carrie Martin for the help and smiles. Lastly, thanks to Elise Paradis for listening, even from a distance. This site is not affiliated with the TTC or its employees. Yes, I know that my station groupings don’t match the official lines. I’m perfectly aware the kerning in the banner and gallery thumbnails is off. That’s deliberate. Opinions herein are subjective and should be taken with a grain of salt. I’m simply a transit fan riding around on the subway. It’s inevitable that you detest a station I’ve praised, while simultaneously you admire a station of which I am unforgivably contemptuous (cough—Museum). Or that I have a different, peculiar view of transit planning—welcome to Toronto, where everyone has their own idiosyncratic views, despite precious little actual knowledge of transit system operations or design! Errata: Corrections to factual errors are welcome and encouraged, as well as pointers to station features I may have overlooked. Despite my know-it-all aspirations, an endeavour of this scope invariably gives rise to a multitude of pernicious missteps, goof-ups, and omissions. I tried my best to do the research, but misinterpretation is a distinct ongoing risk. I glossed over massive patches of history. 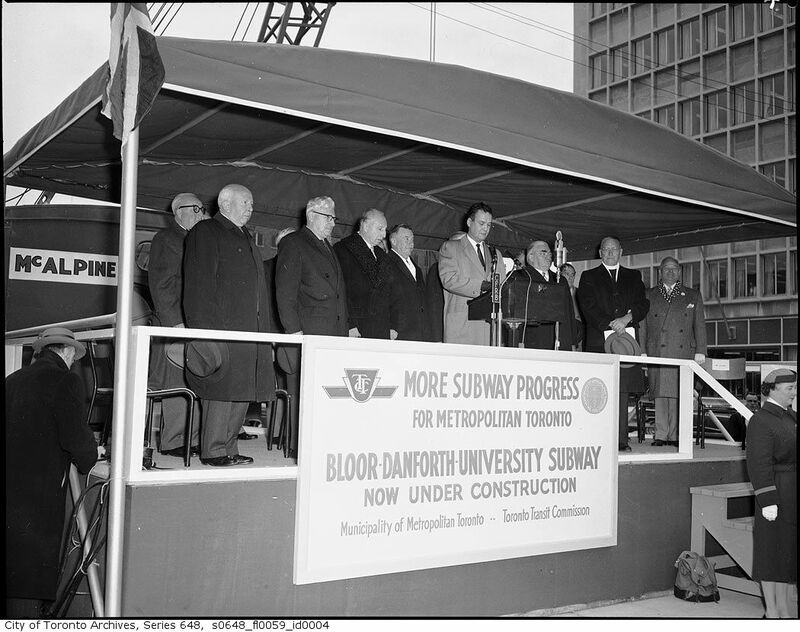 While this project is not intended to be a history of the Toronto subway system, the stations played a key role and I hope that my archival coverage is sufficient to at least pique a casual transit fan’s cursory interest.